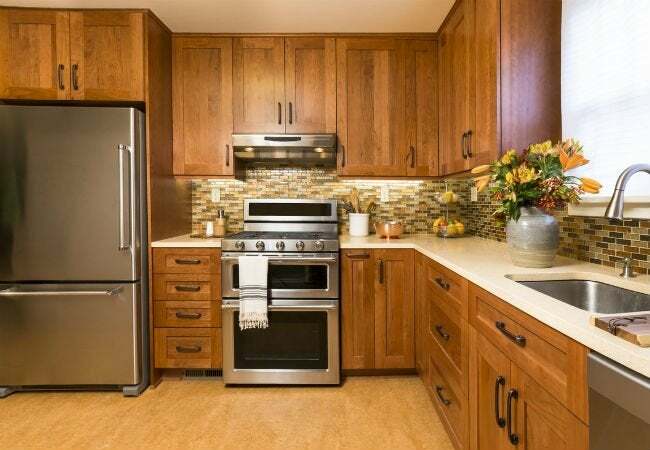 With loads of options on the market, look here first to find the durable, easy-clean flooring that’s perfect for your cook space. 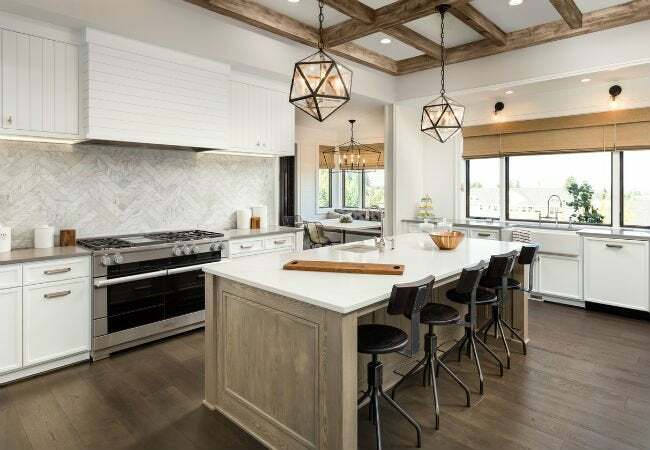 The kitchen has become the hub of the modern home, not just a cook space but a gathering place for family and friends and a focal point for activity. 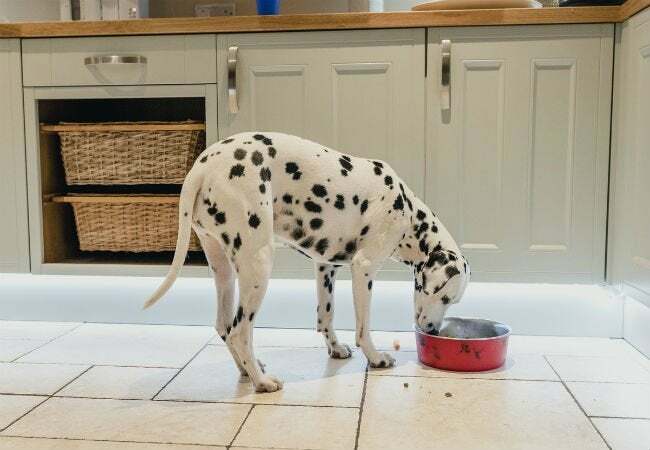 With all that goes on in today’s kitchen, it’s crucial that the floor can withstand high foot traffic as well as the all the inevitable spills and spatters. It also has to suit your personal style and fit within your budget. 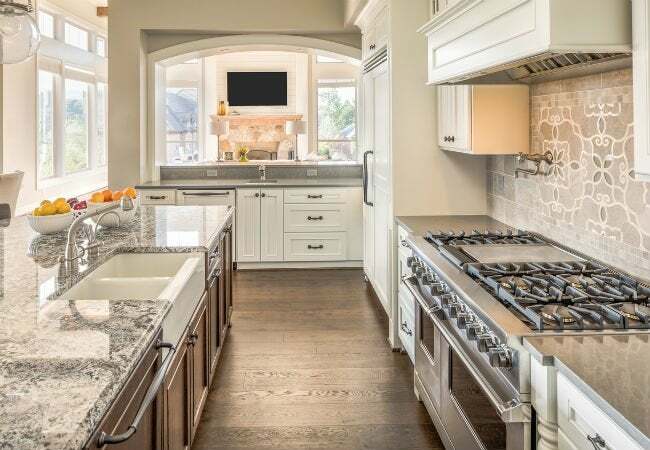 Reconciling these needs can be difficult, so we created a guide to help you end up with nothing but the best kitchen flooring for your family. Read on for the most important attributes in a kitchen floor and which of options fit the bill. Scrubbable: Messes always seem to end up underfoot, so the best kitchen flooring is one that’s easy to keep clean. Vinyl flooring doesn’t get cold in the winter (as, say, ceramic tile can), so it’s comfortable underfoot all year round. It’s easy to care for, too; regular sweeping and occasional mopping with an all-purpose vinyl floor cleaner is sufficient. Sheet vinyl is available in a wide variety of patterns and colors. The thicker the vinyl, the more durable and the more expensive. Expect to pay $.50 to $10 per square foot depending on quality. Professional installation will add another $1 to $3 per square foot. Pro installation is recommended because the vinyl sheet must be perfectly cut to fit the exact dimensions of the room and then carefully glued and rolled with a heavy press to prevent air bubbles. For the ultimate in durability, it’s hard to beat porcelain tile. Though similar in appearance to ceramic, porcelain is fired at higher temperatures, which makes it stronger and more resistant to damage. It comes in a variety of sizes and shapes, from six-inch squares to 18-inch planks that mimic hardwood. Like other hard flooring surfaces, porcelain can be slippery when wet, and it’s extremely hard—glasses and plates that fall on the floor will likely shatter. Porcelain tile is heavy and will add substantial weight, so it’s not usually recommended for a second-story floor. If you have questions about whether your floor system is adequate for installing the tile, contact an engineer or a reputable tile setter. Depending on brand and quality, you’ll pay $3 to $8 dollars per square foot for porcelain tile and an additional $5 to $10 for professional installation. Unless you’re familiar with laying tile, it’s best to leave this job to the pros. Installing porcelain requires the use of a special type of underlayment and thinset mortar. Like other engineered flooring (laminate flooring or floating flooring), EVP planks do not attach directly to the subfloor. Instead, the planks snap together, which makes installation DIY-friendly. You’ll save money if you install EVP yourself: The flooring runs $5 to $7 per square foot and includes installation instructions. If you choose to have it professionally installed, expect to pay another $3 to $6 per square foot. Unlike a lot of flooring choices, such as sheet vinyl or tile, EVP can be installed directly over existing tile, concrete, or linoleum. In terms of downsides, EVP is not as resilient as porcelain—and scooting a heavy refrigerator across its surface could leave a scratch, so care should be taken when moving heavy appliances. It’s a breeze to clean, however, with just a mop dampened with soapy water. If you want natural flooring at any price, check out stone tile. You’ll pay $6 to $16 per square foot, depending on the type of stone, and factor in an additional $5 to $10 per square foot for professional installation. Hiring a professional tile setter is highly recommended because of the special underlayment and thinset mortar required. Even slight discrepancies in the thickness of the mortar or failure to use the correct product could result in stone tiles popping off. • Travertine is smooth underfoot, non-slip, and available in light-to-medium soft earth tones. • Marble is very hard and can be polished to a high sheen. Unfortunately, it can also be slippery when wet. Marble is available in a wide variety of colors, including green, brown, gray, and near-black with pink, red, gold, and burgundy veining. • Slate is one of the best kitchen flooring choices for a number of reasons, but namely, because it’s slip-resistant and very durable. It comes available in blue, gray, red, and orange tones, with attractive veining in the same colors. 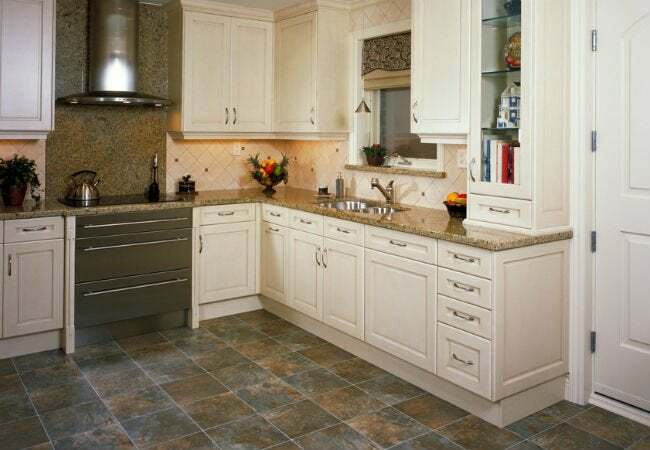 • Granite tile is very hard, making it a good choice for high traffic areas. It comes in deep grays, blacks, tans, and mottled white tones. Granite resists scratching and can be polished to high shine, although the higher the sheen, the greater the slip factor. Natural stone tiles are available in two-inch squares for creating a mosaic look and come in up to 18-inch squares for a more streamlined design. Clean your stone tile floor with a wet mop and soapy water. Follow the tile manufacturer’s recommendations for sealing the floor, to protect it from stains and discoloration, every two to four years. 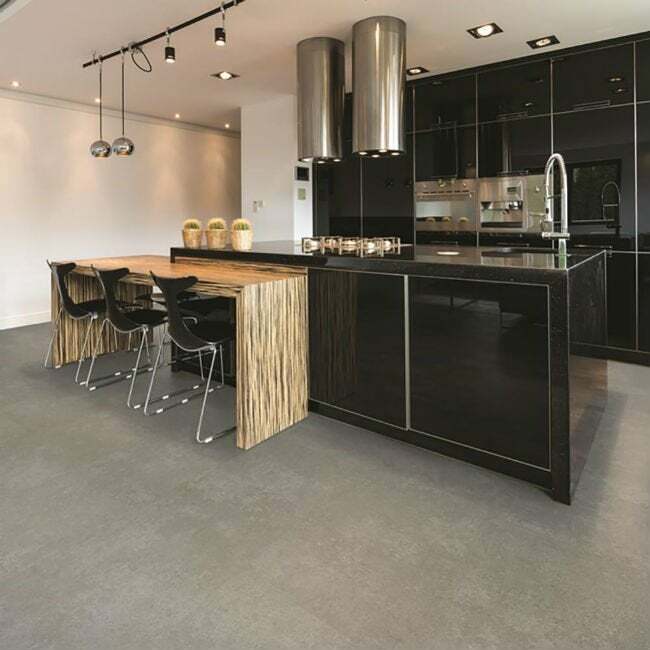 A relatively new addition to the flooring market, cork flooring is quickly becoming a preferred choice for those who want a warm soft floor at an affordable price. Expect to pay $3 to $8 per square foot for cork tiles in square or plank shapes. Cork tiles can be installed by an enthusiastic homeowner—they’re available in peel-and-stick, glue down, or snap together assembly. Professional installation, if desired, can run an additional $2 to $4 per square foot. Which Expiration Dates REALLY Matter?